News and Events relating to the Horsham Lions Club. We are located in Horsham Township, Montgomery County, Pennsylvania, USA. Click Here to download the brochure, which contains all the necessary information. Looking for a fun day of golf while helping your community? Join us for our yearly Golf Outing fundraiser! 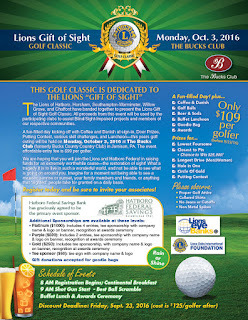 The golf outing will be held Monday, October 3rd at the Bucks Club. The cost is only $109 per golfer (before September 23rd, price goes to $125 after that), and you get plenty of goodies and extras like Beer & Soda, Coffee & Danish, and much more. There will be prizes given for several skill contests such as Hole in One, Putting Contest, and Logest Drive. You could even win $25,000 in our Closest to the Pin game. We're also looking for sponsorships. You can have your company's name and logo on a sign at a tee-off spot. You'll be recognized at the awards ceremony. Some sponsorship levels include up to four golfers too. ALL the proceeds go to the Lions Clubs who organized the fundraiser. That means that ALL the proceeds go back to your community to help those in need. Won't you come help us help others? 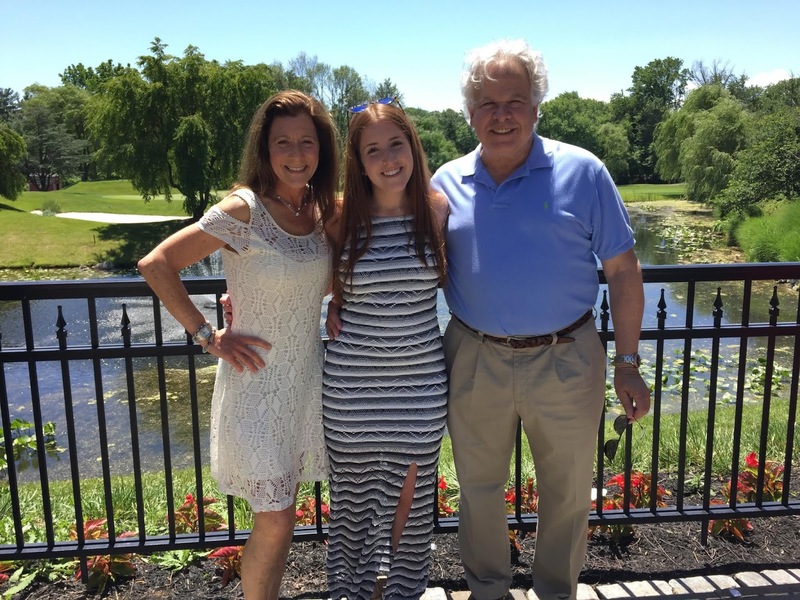 Please join us in congratulatuing Madison Dall as our 2016 scholarship recipient! Madison was the top choice out of 30 applicants among our 5 judges. The scholarship award this year is $1,000. Pictured below is Madison with her parents. Madison will be attending Tufts University this fall, studying economics. Our primary criteria for scholarship winners is community service and volunteerism, and Madison has gone above and beyond in this regard! She's been a very active volunteer in her school and community for many years. She's volunteered for many fundraises, 5K runs, and has been active with the Interact Club (the junior level of Rotary Club) for four years. Her list of community service is too long to include here in full! Madison's gotten plenty of attention this year. The Horsham Lions Club are not the only ones who recognized her community service efforts. She's won several other accolades from other community service organizations, and she was profiled in the Bucks County Courier Times too. The Horsham Lions Club has been active for more than 40 years, helping those in need in our community. We provide low or no-cost eyeglasses and eye exams for the needy. We strive to assist our community through charitable donations, fundraisers, and services. Our motto is "We Serve". We're always on the lookout for new members. 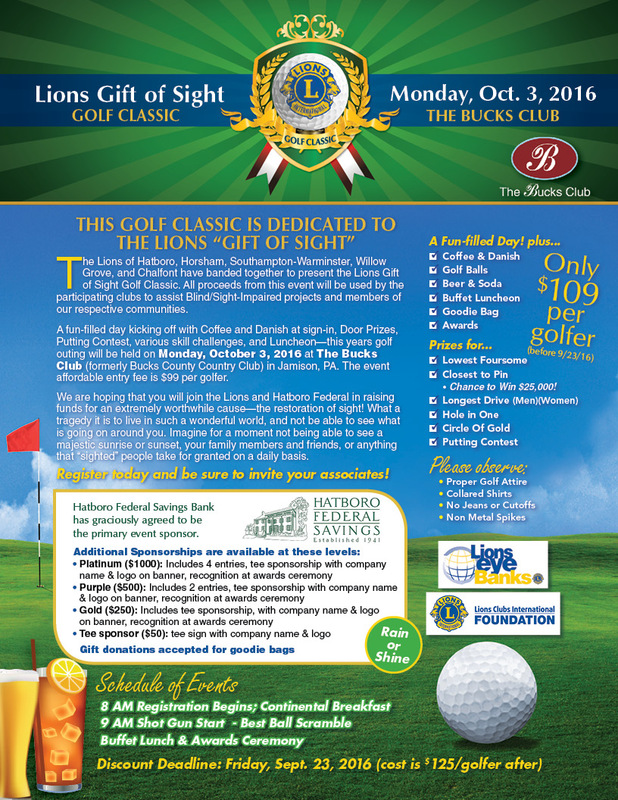 Should you be interested, contact Andy at Andy@HorshamLions.com, or call 267-714-8884. We meet the second Thursday of the month in various locations. Come help us help our community! All donations are tax deductible. More than half of our fundraising dollars are used to help people in our own community. Horsham Lions 2015 Membership Game Day!